Warm and dry hands are a must on the slope, for all day comfort and thanks to Bart's Women's Empire Ski Gloves, that's now possible. A bemberg lining makes it an enjoyable experience slipping on and wearing them, whilst the fiber fill insulation keeps them warm throughout use. 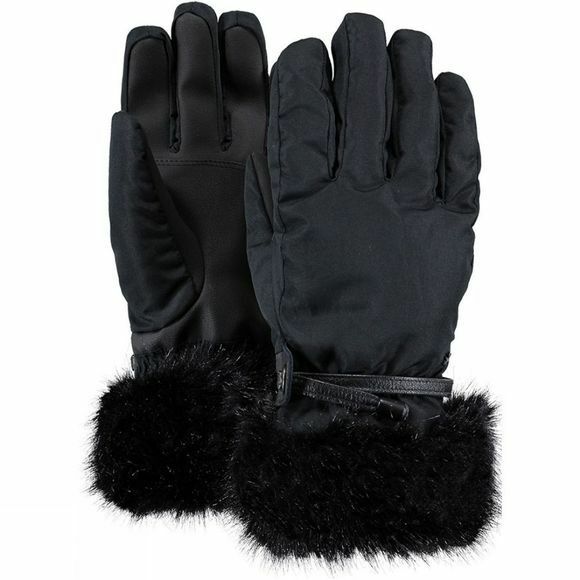 Finishing off with a water resistant shell to keep the weather out and faux fur cuff for style points and you've got yourself a great pair of ski gloves, for the slopes.